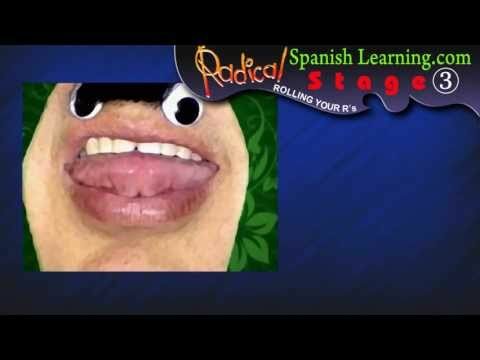 Gringa Guide to Spanish Lesson 6: How to Roll your R’s! ¡Arrrrrriba! Perro, Carro….if you can’t say the double R, all of these words will quickly give you away as a gringo when speaking Spanish. If you struggle with this, know you are not alone as it is a toughie for a majority of new Spanish speakers. Sadly, there’s no quick fix that I can share with you to learn this skill, but I can provide some helpful tips to get you started on this long tongue-tied journey. Think about it: the tongue is a muscle and you’ve gone your whole life without asking your tongue to move this way. It’s going to take a lot of practice to train this muscle and get this movement into your muscle-memory. So, when you are in your car, getting dressed, in the shower, repeat words that require the double R or even tongue twisters to loosen up your mouth. This little trick helped me a lot. When saying words with the double R, mentally place a “D” in between the “rr”s as such: say perDro instead of perro. This will force your tongue to perform the sound that is very similar to rolling your R’s.